HAPPY BIRTHDAY!!! 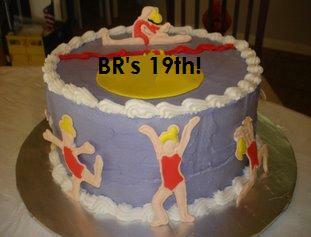 Saw you were Gymnastics couch so... have a gymnastic B-day cake!!!! Aww thanks guys. I was away this weekend camping for my bday, that's why I havn't been around. Next weekend my mother is throwing me a party which I did not ask for, lovely. But oh well. Anyways, you guys rock!